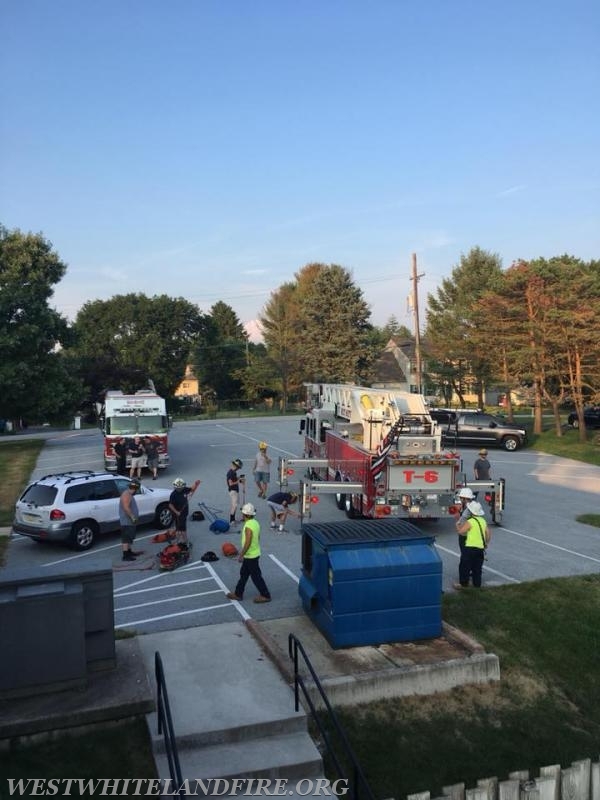 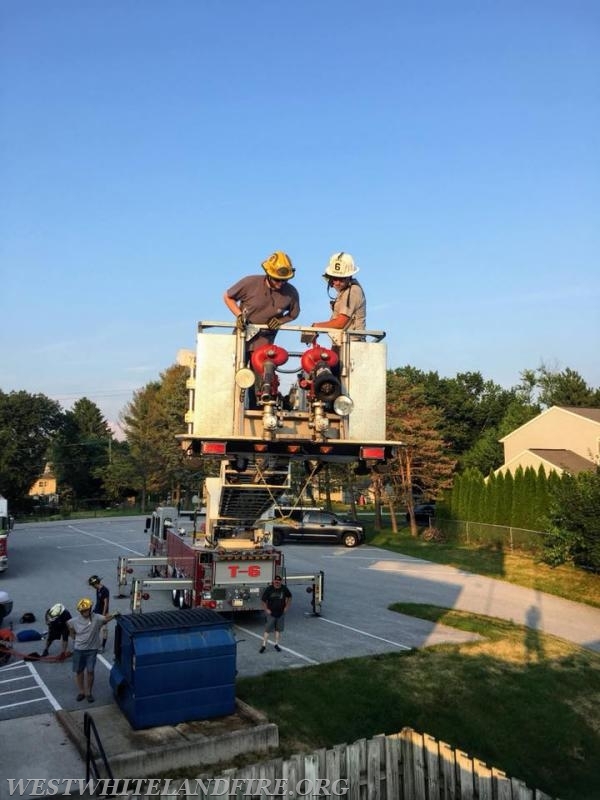 Members from the West Whiteland Fire Company trained on ropes and rigging and used specialized equipment to conduct different rescue scenarios. 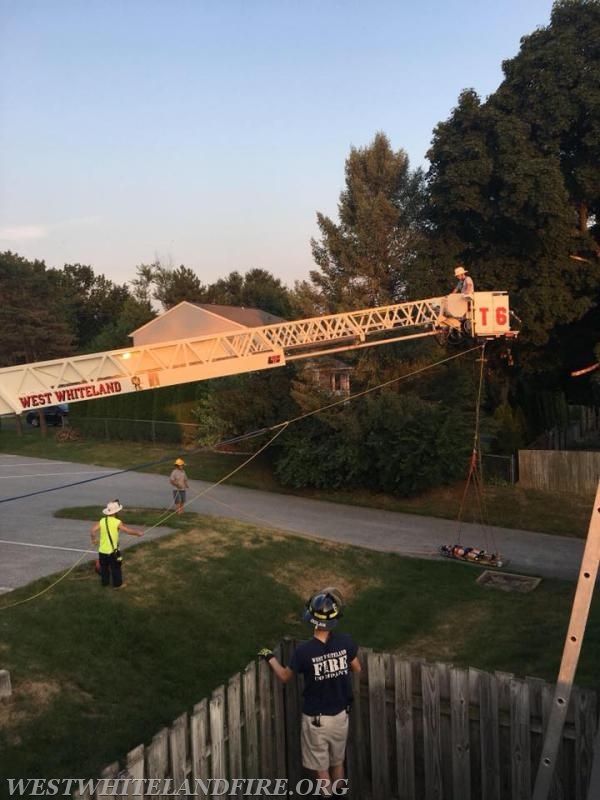 In this scenario, crews acted as if the grass was water and there were two injured victims unconscious within the fenced in area that needed to be removed. 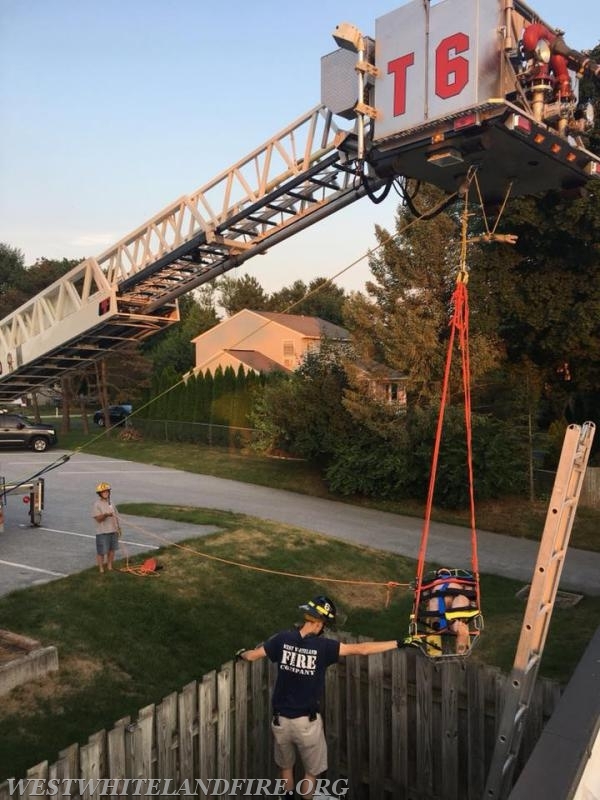 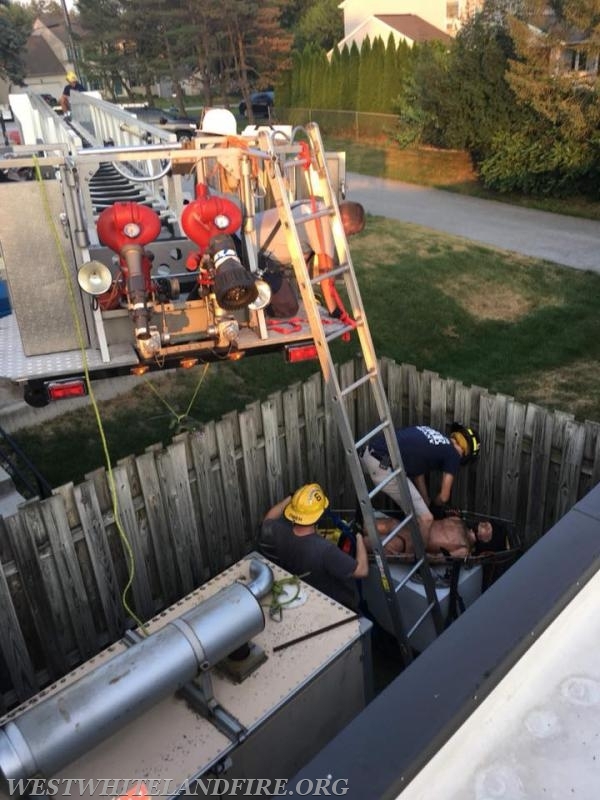 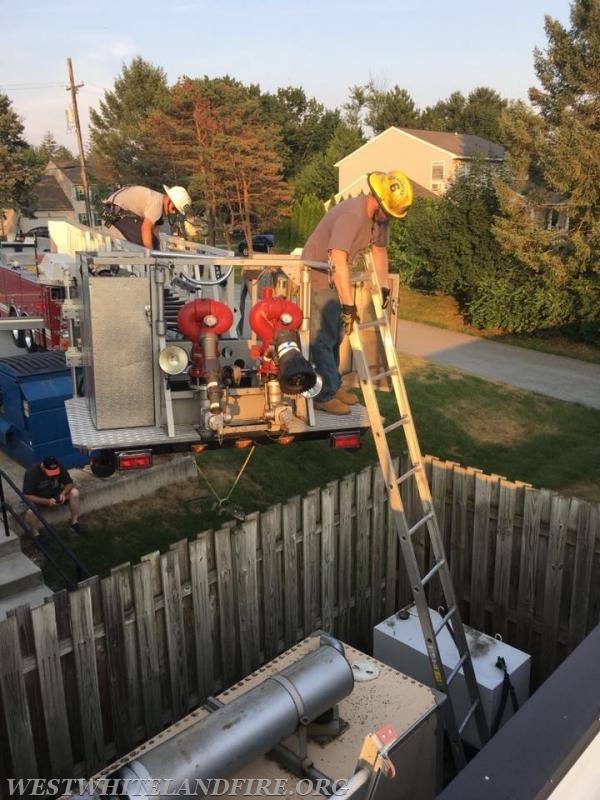 Using a hauling system, a stokes basket, and other equipment, crews were able to load each victim and move them to safety.